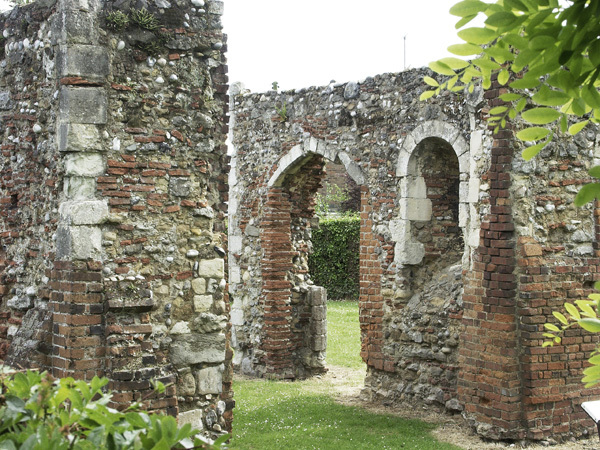 A short walk along Spital Road from Maldon Town Centre brings you to the remains of St Giles' Hospital. St Giles' was a leper hospital that was probably founded by Henry II in the twelfth century for the relief of the inhabitants of Maldon suffering from leprosy, then a common desease throughout Europe. In 1481, it was granted by Edward IV to Beeleigh Abbey together with about 90 acres of land. As with Beeleigh Abbey, St Giles' was closed at the dissolution of the monastries under Henry VIII and became part of a barn at Spital Farm. This use continued until about 1910 when the roof collapsed. In 1913 the dilapadated barns were pulled down to once again the reveal the remains of the hospital. 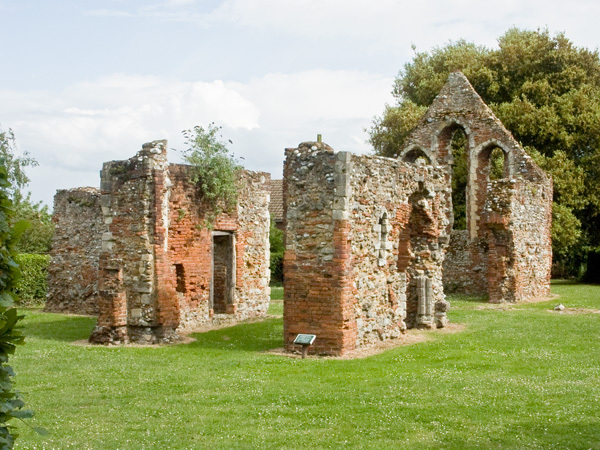 The ruins remained in a dangerous state until purchased by Mr Thomas of Beeleigh Abbey in 1925 and presented to the Maldon Corporation who completed the restoration work in June 1927.